As much as I have enjoyed studying railroad history the information presented here would have never been possible without a great deal of help from many friends and numerous resources. First and foremost I must thank the late John G. King for not only his friendship but also his unwavering willingness to provide me with many materials (sometimes offering stuff I would not even ask for!). Mr. King carried an incredible amount of knowledge during the industry's classic era, knew the Baltimore & Ohio's story in incredible detail, and during his life had amassed a stunning collection of archival material (books, slides, videos, documents, etc.). For being allowed access to just a tiny fraction of it, I am forever thankful. I must also give a big thanks to many railfan friends whom I have come to know, in some capacity, over the years; folks like Wade Massie, Drew Jacksich, Marty Bernard, Danny Robie, Warren Calloway, Ron Flanary, Doug Kroll, Tom Granville, Jon Wright, and others. These individuals have graciously provided access to parts of their photographic collections. Because of this I am incredibly grateful for their help. Abbey, Wallace W. The Little Jewel: Soo Line Railroad And The Locomotives That Make It Go. Pueblo: Pinon Productions, 1984. Adams, Kramer A. Logging Railroads Of The West. New York: Bonanza Books, 1961. Ambrose, Stephen E. Men Who Built The Transcontinental Railroad, The: Nothing Like It In The World. New York: Simon & Schuster, 2000. Anderson, Jacob E. A Brief History Of The St. Louis Southwestern Railway Lines. St. Louis: St. Louis Southwestern Railway Public Relations Department, 1947. Beck, Samuel and Gustason, Bill. Indiana Harbor Belt: In Color. Scotch Plains: Morning Sun Books, Inc., 2011. Bernet, Gerard. Colorful Memories of Reading's Shamokin Division. RAE Publishing, Inc., 1999. Boyd, Jim. American Freight Train, The. Osceola: MBI Publishing, 2001. Boyd, Jim. 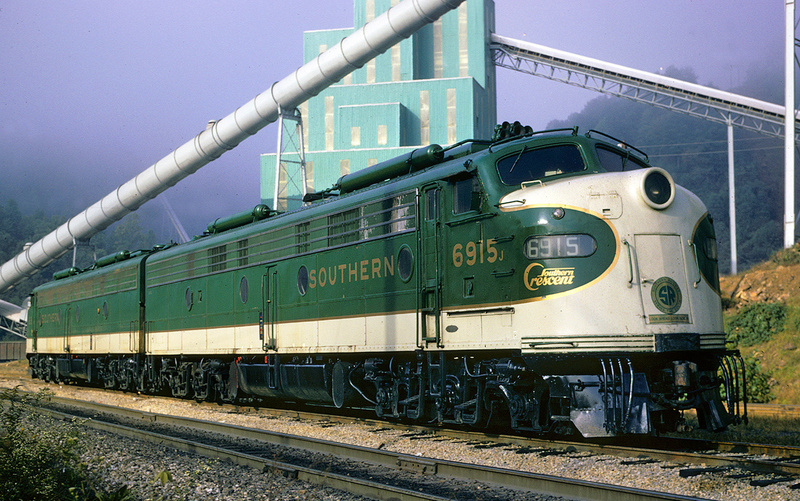 Kansas City Southern, In Color: The Era Of Streamlined Hospitality, 1940-1970. Scotch Plains: Morning Sun Books, 2003. Bramson, Seth H. Speedway To Sunshine: The Story Of the Florida East Coast Railway. Richmond Hill: Boston Mills Press/Firefly Books, Inc, 2010 edition. Brough, Lawrence A. Electric Pullman, The: A History Of The Niles Car & Manufacturing Company. Bloomington: Indiana University Press, 2013. Bryant, Jr. Keith L. History Of The Atchison, Topeka & Santa Fe Railway. New York: Macmillan Publishing Company, 1974. Central Electric Railfans' Association (CERA). The Great Third Rail. Chicago: CERA, 1970 (Third Printing). Chant, Christopher. History Of North American Rail, The. Edison: Chartwell Books, 2005. Clegg, Adam. Western Pacific, Color Pictorial: Volume One. La Mirada: Four Ways West Publications, 2001. Cline, Wayne. Texas Railroad, The: The Scandalous And Violent History Of The International And Great Northern Railroad, 1866-1925. Lexington: 2015. Cohen, Ronald D. And McShane, Stephen G. Moonlight In Duneland: The Illustrated Story Of The Chicago South Shore And South Bend Railroad. Bloomington: Indiana University Press, 2004 edition. Collias, Joe G. Frisco Power: Locomotives And Trains Of The St. Louis-San Francisco Railway, 1903-1953. Crestwood: MM Books, 1984. Collias, Joe G. and George, Jr. Raymond B. Katy Power: Locomotives And Trains Of The Missouri-Kansas-Texas Railroad, 1912-1985. Crestwood: MM Books, 1986. Cook, Roger And Zimmermann, Karl. 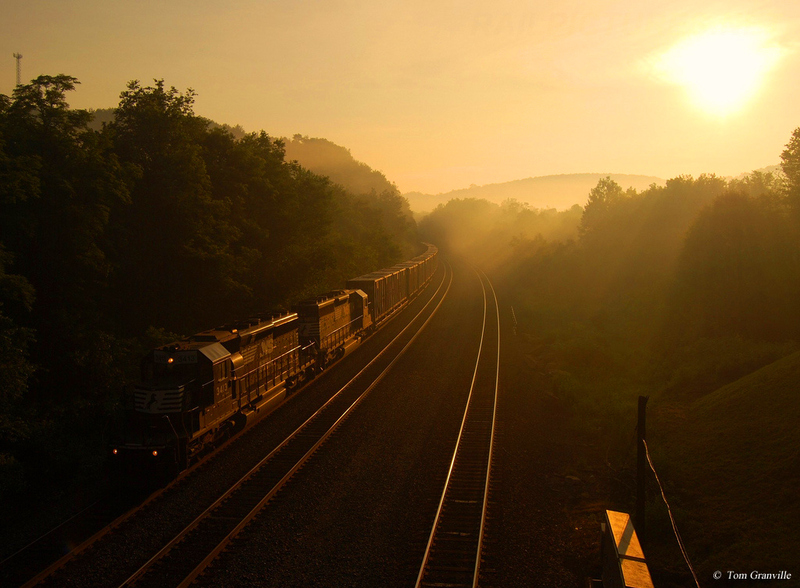 Western Maryland Railway, The: Fireballs & Black Diamonds. San Diego: Howell-North Books, 1981. Crise, Steve; Patris, Michael A.; and the Pacific Electric Railway Historical Society. Then & Now: Pacific Electric Railway. Charleston: Arcadia Publishing, 2011. Crump, Spencer. Story Of The California Western Skunk Railroad, The: Redwoods, Iron Horses And The Pacific. Los Angeles: Trans-Anglo Books, 1963. Del Grosso, Robert C. Burlington Northern Railroad, Historical Review, 1970-1995. Halifax: Withers Publishing, 2014. Del Vecchio, Mike. Railroads Across America. Osceola: MBI Publishing, 1998. DeNevi, Don. America's Fighting Railroads, A World War II Pictorial Hisotry. Missoula: Pictorial Histories Publishing Company, 1996. Dixon, Thomas W. Appalachian Coal Mines & Railroads. Lynchburg: TLC Publishing, 1994. Dixon, Thomas W. Chesapeake And Ohio Railway: A Concise History And Fact Book. Clifton Forge: Chesapeake & Ohio Historical Society, 2012. Dixon, Thomas W. Chesapeake & Ohio K-4 Class 2-8-4 Steam Locomotives. Clifton Forge: Chesapeake & Ohio Historical Society, 2013. Dixon, Thomas W. Chesapeake & Ohio Passenger Service: 1847-1971. Clifton Forge: Chesapeake & Ohio Historical Society, 2013. Dixon, Thomas W. Chessie Era, The. Lynchburg: TLC Publishing, 1994. Dixon, Thomas W. Norfolk & Western Steam: The Last 30 Years. Forest: TLC Publishing, 2013. Dolzall, Gary W. and Dolzall, Stephen F. Monon, The Hoosier Line. Bloomington: Indiana University Press, 1987/2002 (Second, Revised Edition). Donovan Jr., Frank P. and Grant, H. Roger (Editor). Iowa Railroads. Iowa City: University of Iowa Press, 2000. Dorin, Patrick C. An Illustrated Guide To American Freight Train Equipment. Hudson: Enthusiast Books, 2013. Dorin, Patrick C. Elgin, Joliet And Eastern Railway, The. Wilton: Signature Press, 2009. Dorin, Patrick C. Grand Trunk Western Railroad, The: A Canadian National Railway. Seattle: Superior Publishing Company, 1977. Dorin, Patrick C. Missouri Pacific Lines: Freight Train Services and Equipment. Lynchburg: TLC Publishing, 2001. 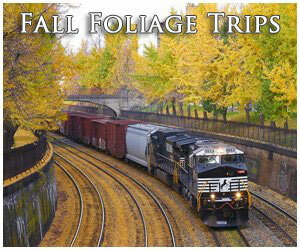 Dorin, Patrick C. Santa Fe Passenger Trains In California: From The 1940s Thru Amtrak And More. Forest: TLC Publishing, Inc., 2006. Dorin, Patrick C. Soo Line, The. Seattle: Superior Publishing Company, 1979. Doughty, Geoffrey H. New York Central's Great Steel Fleet, 1948-1967 (Revised Edition). Lynchburg: TLC Publishing, Inc., 1999. Duke, Donald. Pacific Electric Railway: A Pictorial Album Of Electric Railroading. San Marino: Golden West Books, 1958. Fetters, Thomas. Logging Railroads Of South Carolina. Forest Park: Heimburger House Publishing Company, 1990. Fetters, Thomas. Logging Railroads Of The Blue Ridge And Smoky Mountains, Volume I (Gold Mountain, Black Mountain And White Top). Hillsboro: TimberTimes, 2007. Fetters, Thomas. Logging Railroads Of The Blue Ridge And Smoky Mountains, Volume 2 (Tallulah Falls, Anna Ruby Falls, And Jeffrey's Hell). Hillsboro: TimberTimes, 2010. Foner, Philp S. Great Labor Uprising Of 1877, The. New York: Pathfinder Books, 2017, Eleventh Printing (1977). Foster, Gerald. 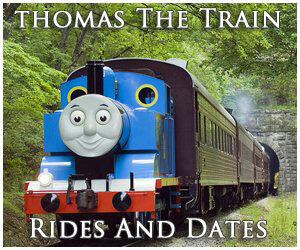 A Field Guide To Trains. New York: Houghton Mifflin, 1996. Gaertner, John T. North Bank Road: The Spokane, Portland & Seattle Railway. Pullman: Washington State University Press, 1990. Garcilazo, Jeffery Marcos. Traqueros: Mexican Railroad Workers In The United States, 1870-1930. Denton: University Of North Texas Press, 2012. Glischinski, Steve. Santa Fe Railway. St. Paul: Voyageur Press, 2008. Goolsby, Larry. Atlantic Coast Line Passenger Service: The Postwar Years. Lynchburg: TLC Publishing, Inc., 1999. Goolsby, Larry. Seaboard Air Line Passenger Service, The Streamlined Era. Forest: TLC Publishing, 2011. Gove, Bill. Logging Railroads Of The Adirondacks. Syracuse: Syracuse University Press, 2006. Gove, Bill. 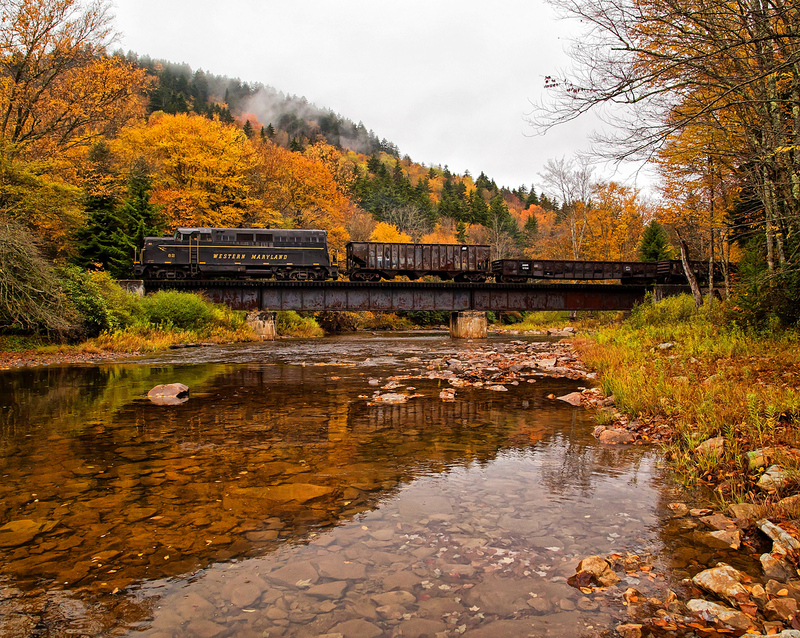 Logging Railroads Of New Hampshire's North Country. Littleton: Bondcliffs Books, 2010. Grenard, Ross and Krause, John. Steam In The Alleghenies. Carstens Publications. Grant, Roger H. Corn Belt Route, The: A History Of The Chicago Great Western Railroad Company. DeKalb: Northern Illinois University Press, 2008 edition. Grant, Roger H. Erie Lackawanna: Death Of An American Railroad, 1938-1992. Stanford: Stanford University Press, 1994. Grant, Roger H. "Follow The Flag": A History Of The Wabash Railroad Company. DeKalb: Northern Illinois University Press, 2004. Grant, Roger H. And Donovan Jr., Frank P. Iowa Railroads: The Essays Of Frank P. Donovan, Jr. Iowa City: University Of Iowa Press, 2000. Gratz, David E. and Arbogast, Terry E. Monongahela Railway, The: It's History And Operation 1903-1993 [sic]. Washingtonville: M2FQ Publications, 2003. Griffin, James R. Rio Grande Railroad. St. Paul: Voyageur Press, 2003. Hain, Peter Murray. Frank K. Hain And The Manhattan Railway Company: The Elevated Railway, 1875-1903. Jefferson: McFarland & Company Inc., Publishers, 2011. Halberstadt, Hans And April. American Train Depot & Roundhouse, The. Osceola: Motorbooks International Publishers & Wholesalers, 1995. Hampton, Taylor. Nickel Plate Road, The: The History Of A Great Railroad. Newton: Circulation, Publishing And Marketing L.L.C., 1947. Hanson, Robert H. West Point Route, The: The Atlanta & West Point Rail Road And The Western Railway Of Alabama. Forest: TLC Publishing, Inc., 2006. Harwood, Herbert H. Jr. Royal Blue Line. Baltimore: John Hopkins University Press, 2002. Heimburger, Donald J. Illinois Central: Main Line Of Mid-America. Forest Park: Heimburger House Publishing Company, 1995. Heimburger, Donald J. Wabash. Forest Park: Heimburger House Publishing Company, 1984. Helm, Robert A. Clinchfield Railroad In the Coal Fields, The. Lynchburg: TLC Publishing, Inc., 2004. Hidy, Ralph W., Hidy, Muriel E., Scott, Roy V., And Hofsommer, Don L. Great Northern Railway, The: A History. Minneapolis: University of Minnesota Press, 2004 edition. Hilton, George. American Narrow Gauge Railroads. Stanford: Stanford University Press, 1990. Hilton, George W. Ma & Pa, The: A History Of The Maryland & Pennsylvania Railroad. Baltimore: Johns Hopkins University Press, 1999 (Second Edition, Revised). Hilton, George W. Monon Route. La Jolla: Howell-North Books, 1978. Hilton, George and Due, John. Electric Interurban Railways in America, The. Stanford: Stanford University Press, 2000. Hofsommer, Don L. Grand Trunk Corporation: Canadian National Railways In The United States, 1971-1992. East Lansing: Michigan State University Press, 1995. Hofsommer, Don L. Tootin' Louie, A History Of The Minneapolis & St. Louis Railway, The. Minneapolis: University of Minnesota Press, 2005. Holland, Kevin J. Passenger Trains Of Northern New England, In The Streamline Era. Lynchburg: TLC Publishing, 2004. Ivey, Paul Wesly. Pere Marquette Railroad Company, The: A Historical Study Of The Growth And Development Of One Of Michigan's Most Important Railway Systems. Lansing: Wynkoop Hallenbeck Crawford Company, 1919. Johnston, Bob and Welsh, Joe. Art Of The Streamliner, The. New York: Andover Junction Publications, 2001. Kelly, Jack. Edge Of Anarchy, The: The Railroad Barons, The Gilded Age, And The Greatest Labor Uprising In America. New York: St. Martin's Press, 2019. Kelly, John. Chicago & North Western, Photo Archive: Passenger Trains Of The 400 Fleet. Hudson: Iconografix, 2006. Kelly, John. Great Northern Railway: Route Of The Empire Builder. Hudson: Iconografix, 2013. Kelly, John. Rock Island Railroad, Photo Archive: Travel On The Rockets. Hudson: Iconografix, 2010. Kerr, O.R. Centennial Treasury Of General Electric Locomotives, Volume II. Montreal: Delta Publications Associates Division, 1981. Klein, Maury. Life And Legend Of Jay Gould, The. Baltimore: The Johns Hopkins University Press, 1986. Kline Jr. Benjamin F.G. Tall Pines And Winding Rivers: The Logging Railroads Of Maryland. Strasburg: The Friends Of The Railroad Museum Of PA, 2007 (Second Edition). King, Frank A. Minnesota Logging Railroads. Minneapolis: University Of Minnesota Press, 2003 (First University Of Minnesota Press Edition). King, Frank A. Missabe Road, The. Minneapolis: University Of Minnesota Press, 2003 (First University Of Minnesota Press Edition). Kirkland, John F. Diesel Builders, The: Volume One, Fairbanks-Morse And Lima-Hamilton. Glendale: Interurban Press, 1985. Kirkland, John F. Diesel Builders, The: Volume Two, American Locomotive Company And Montreal Locomotive Works. Glendale: Interurban Press, 1989. Kirkland, John F. Diesel Builders, The: Volume Three, Baldwin Locomotive Works. Pasadena: Interurban Press, 1994. Labbe, John T. and Replinger, Peter J. Logging To The Salt Chuck. Seattle: North West Shore Line, 1990. Lamb, Kaye W. History Of The Canadian Pacific Railway. New York: Macmillan Publishing Company, 1977. Lawson Jr., Thomas. Logging Railroads Of Alabama. Birmingham: Cabbage Stack Publishing, 1996. Leopard, John. Duluth, Missabe & Iron Range Railway. St. Paul: MBI Publishing Company, 2005. Lewis, Lloyd D. West Virginia Railroads Volume 4: Virginian Railway. Forest: TLC Publishing, Inc., 2011. Little, Stephen R. Andrews Geyser: Star Of The Mountain Railroad. Bloomington: AuthorHouse, 2012. Little, Stephen R. Tunnels, Nitro And Convicts: Building The Railroad That Couldn't Be Built. Bloomington: AuthorHouse, 2010. Long, Raphael F. Pacific Electric Big Red Cars. Universal City: T.C. Phillips, 1966. Loving Jr., Rush. Men Who Loved Trains, The: The Story Of Men Who Battled Greed To Save An Ailing Industry. Bloomington: Indiana University Press, 2006. Lucas, Robert E. And The AC&Y Historical Society. Akron, Canton & Youngstown And Akron & Barberton Belt, In Color. Scotch Plains: Morning Sun Books, Inc., 2015. Luecke, John C. and Spyhalski, Paul R. Minneapolis, Northfield & Southern Railway, The. Kansas City: White River Productions, 2013. Lynch, Peter E. New Haven Passenger Trains. St. Paul: MBI Publishing Company, 2005. Mailer, Stan. Green Bay & Western. Edmonds: Hundman Publishing, Inc., 1989. Mainey, David. Baltimore & Ohio Steam In Color. Scotch Plains: Morning Sun Books, 2001. Marre, Louis A. and Pinkepank, Jerry A. Contemporary Diesel Spotter's Guide, The: A Comprehensive Reference Manual To Locomotives Since 1972. Milwaukee: Kalmbach Publishing Company, 1989. Marre, Louis A. Contemporary Diesel Spotter's Guide, The: A Comprehensive Reference Manual To Locomotives Since 1972, Including Rebuilding, Upgrading, And Leasing Programs (2nd Edition). Milwaukee: Kalmbach Publishing Company, 1995. Marvel, Bill. Rock Island Line, The. Bloomington: Indiana University Press, 2013. McCready, Albert L. and Sagle, Lawrence W. (American Heritage). Railroads In The Days Of Steam. Mahwah: Troll Associates, 1960. McDonnell, Greg. Locomotives: The Modern Diesel & Electric Reference, 2nd Edition. Buffalo: Boston Mills Pres/Firefly Books, 2015. McGuirk, Martin J. Baltimore & Ohio Railroad in the Potomac Valley. Waukesha: Kalmbach Publishing, 2001. McKinney, Evan. High Iron To Fairbanks, A Novel: Building The Historic Alaska Railroad. Polson: Mission Mountain Books, 2016. McNeel, William. The Durbin Route: The Greenbrier Division of the Chesapeake & Ohio Railway. Charleston: Pictorial Histories Publishing Company, 1985. Revised edition, 2000. Mencken, August. Railroad Passenger Car, The: And Illustrated History Of The First Hundred Years With Accounts By Contemporary Passengers. Baltimore: The Johns Hopkins University Press, 2000 edition. Middleton, William D. South Shore: The Last Interurban. Bloomington: Indiana University Press, 1999 edition. Middleton, William D. Traction Classics: The Interurbans, Extra Fast And Extra Fare. San Marino: Golden West Books, 1985. Middleton, William D. Traction Classics: The Interurbans, Interurban Freight. San Marino: Golden West Books, 1985. Mills Jr., Donald L. Kanawha & Michigan Railroad, The: Bridge Line To The Lakes, 1888-1922. Huntington: Mid-Atlantic Highlands, 2010. Miner, Craig H. Rebirth Of The Missouri Pacific, 1956-1984, The. College Station: Texas A&M University Press, 1983. Miner, Craig H. St. Louis - San Francisco Transcontinental Railroad, The: The Thirty-fifth Parallel Project, 1853-1890. Lawrence: University Press Of Kansas, 1972. Missouri-Kansas-Texas Railroad (Publicity Department). Opening Of The Great Southwest, The. Dallas: Missouri-Kansas Texas Railroad, 1970. Murray, Tom. Canadian National Railway. St. Paul: MBI Publishing Company, 2004. Murray, Tom. Canadian Pacific Railway. St. Paul: Voyageur Press, 2006. Murray, Tom. Chicago & North Western Railway. Minneapolis: Voyageur Press, 2008. Murray, Tom. Illinois Central. St. Paul: Voyageur Press, 2006. Murray, Tom. Milwaukee Road, The. St. Paul: MBI Publishing, 2005. Murray, Tom. Southern Railway. St. Paul: Voyageur Press, 2007. Official Guide Of The Railways, The. 8th ed. 102 vols. National Railway Publication Company: New York, January 1970. Ogorek, Cynthia L. And Molony, Bill. Images Of Rail: Chicago & Western Indiana Railroad. Charleston: Arcadia Publishing, 2016. Overton, Richard. Burlington Route: A History Of The Burlington Lines. New York: Alfred A Knopf, Inc. 1965. Parker, Karen. Chesapeake & Ohio: Heavy Pacific Locomotives. Clifton Forge,: Chesapeake & Ohio Historical Society, 2014. Perata, David D. Those Pullman Blues: An Oral History Of The African-American Railroad Attendant. Ruthven: David Perata Studios, 2014. Pinkepank, Jerry A. Diesel Spotter's Guide. Milwaukee: Kalmbach Publishing Company, 1967. Pinkepank, Jerry A. and Marre, Louis A. Diesel Spotter's Guide Update: Including Electrics And Lightweight-Train Power Cars. Milwaukee: Kalmbach Publishing Company, 1979. Plachno, Larry. Story Of The Chicago Aurora & Elgin Railroad, The: 1 - Trackage. Polo: Transportation Trails, 1986. Plachno, Larry. 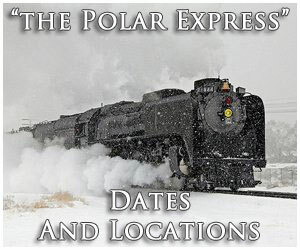 Story Of The Chicago Aurora & Elgin Railroad, The: 2 - History. Polo: Transportation Trails, 1989. Prince, Richard E. Central Of Georgia Railway And Connecting Lines. Salt Lake City: Stanway - Wheelwright Printing Company, 1976. Reed, Jay. Critters, Dinkys & Centercabs. Whittier: Rio Hondo, 2000. Rehor, John A. Nickel Plate Story, The. Milwaukee: Kalmbach Publishing Company, 1965. Reynolds, Kirk and Oroszi, David. Baltimore & Ohio Railroad. Osceola: MBI Publishing, 2000. Robertson, Donald B. Encyclopedia Of Western Railroad History, Volume IV: California. Caldwell: The Caxton Printers, Ltd., 1998. Schafer, Mike. Caboose. Osceola: MBI Publishing, 1997. Schafer, Mike. Classic American Railroads. Osceola: MBI Publishing, 1996. Schafer, Mike. Classic American Railroads, Volume III. Osceola: MBI Publishing, 2003. Schafer, Mike and McBride, Mike. Freight Train Cars. Osceola: MBI Publishing, 1999. Schafer, Mike. More Classic American Railroads. Osceola: MBI Publishing, 2000. Schafer, Mike and Solomon, Brian. Pennsylvania Railroad. Osceola: MBI Publishing, 1997. Schafer, Mike and Welsh, Joe. Streamliners, History of a Railroad Icon. St. Paul: MBI Publishing, 2003. Schafer, Mike. Vintage Diesel Locomotives. Osceola: MBI Publishing, 1998. Schneider, Gregory L. Rock Island Requiem: The Collapse Of A Mighty Fine Line. Lawrence: University Press Of Kansas, 2013. Schult, Dain L. Nashville, Chattanooga & St. Louis: A History Of "The Dixie Line." Marceline: Walsworth Publishing Company, 2001. Schwieterman, Joseph P. When The Railroad Leaves Town: Eastern United States. Kirksville: Truman State University Press, 2001. Schwieterman, Joseph P. When The Railroad Leaves Town: Western United States. Kirksville: Truman State University Press, 2004. Scribbins, Jim. Hiawatha Story, The. Minneapolis: University of Minnesota Press, 2007. Scribbins, Jim. Milwaukee Road Remembered. Minneapolis: University Of Minnesota, 2008 (Second Edition). Severson, Jon A. Delivered With Pride, A Pictorial History Of The Duluth, Winnipeg & Pacific Railroad. Superior: Savage Press, 2008. Shaughnessy, Jim. The Rutland Road: Second Edition. Syracuse: Syracuse University Press, 1997. Shaughnessy, Jim. Delaware & Hudson: The Bridge Line To New England And Canada. Syracuse: Syracuse University Press, 1997 edition. Smith, Toby and Garrett, Klink. Ten Turtles To Tucumcari. Albuquerque: University Of New Mexico Press, 2003. Solomon, Brian. Alco Locomotives. Minneapolis: Voyageur Press, 2009. Solomon, Brian. American Diesel Locomotive, The. Osceola: MBI Publishing, 2000. Solomon, Brian. Amtrak. St. Paul: MBI Publishing Company, 2004. Solomon, Brian. Baldwin Locomotives. Minneapolis: Voyageur Press, 2009. Solomon, Brian. Classic Locomotives, Steam And Diesel Power in 700 Photographs. Minneapolis: Voyageur Press, 2013. Solomon, Brian. Classic Railroad Signals: Semaphores, Searchlights, And Towers. Minneapolis: Quarto Publishing Group, 2015. Solomon, Brian. Electro-Motive E-Units and F-Units: The Illustrated History of North America's Favorite Locomotives. Minneapolis: Voyageur Press, 2011. Solomon, Brian. Electric Locomotives. St. Paul: MBI Publishing, 2003. Solomon, Brian. 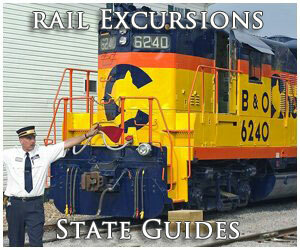 Field Guide To Trains: Locomotives And Rolling Stock. Minneapolis: Quarto Publishing Group, 2016. Solomon, Brian. GE Locomotives: 110 Years Of General Electric Motive Power. St. Paul: MBI Publishing, 2003. Solomon, Brian. GE and EMD Locomotives: The Illustrated History. Minneapolis: Voyageur Press, 2014. Solomon, Brian. Majesty Of Big Steam, The. Minneapolis: Quarto Publishing Group, 2015. Solomon, Brian and Gruber, John. Milwaukee Road's Hiawatha's, The. St. Paul: Voyageur Press, 2006. Solomon, Brian and Schafer, Mike. New York Central Railroad. St. Paul: Andover Junction Publications, 2007. Solomon, Brian. North American Railroad Family Trees. Minneapolis: Voyageur Press, 2013. Solomon, Brian. Railroad Signaling. Minneapolis: Voyageur Press, 2010 (Softcover edition). Solomon, Brian. Railroad Stations. New York: MetroBooks, 2000. Solomon, Brian. Railway Depots, Stations & Terminals. Minneapolis: Quarto Publishing Group, 2015. Solomon, Brian. Railway Maintenance: The Men And Machines That Keep The Railroads Running. St. Paul: MBI Publishing Company, 2001. Solomon, Brian. Southern Pacific Railroad. St. Paul: Voyageur Press, 2007. Solomon, Brian. Streamliners: Locomotives And Trains In The Age Of Speed And Style. Minneapolis: Voyageur Press, 2015. Solomon, Brian. Working On The Railroad. St. Paul: MBI Publishing Company, 2006. Stegmaier Jr., Harry. Pennsylvania Railroad: Passenger Trains, Consists And Cars - 1952 (Volume 1, East-West Trains). Lynchburg: TLC Publishing, Inc., 2003. Stegmaier Jr., Harry and Mullison, Jim. Twilight Of The Monongahela. Flushing: H&M Productions, Inc., 1994. Stevens, G.R. History Of The Canadian National Railways. New York: The Macmillan Company, 1973. Stiles, T.J. First Tycoon, The. The Epic Life Of Cornelius Vanderbilt. New York: Alfred A. Knopf, 2009. Stover, John. History Of The Illinois Central Railroad. New York: Macmillan Publishing Company, 1975. Stover, John. Routledge Historical Atlas of the American Railroads, The. New York: Routledge, 1999. Stowell, David O. Great Strikes Of 1877, The. Urbana: University Of Illinois Press, 2008. Strapac, Joseph A. Cotton Belt Locomotives. Bloomington: Indiana University Press, 1977. Stringham, Paul H. Illinois Terminal, The Electric Years. Glendale: Interurban Press, 1989. Stringham, Paul H. Toledo, Peoria & Western: Tried, Proven & Willing. Peoria: Deller Archive, Inc., 1993. Thomas, William G. Iron Way, The: Railroads, The Civil War, And The Making Of Modern America. New Haven and London: Yale University Press, 2011. Trains Magazine, Kalmbach Publishing Company. Trostel, Scott D. Detroit, Toledo And Ironton Railroad, The: Henry Ford's Railroad. Fletcher: Cam-Tech Publishing, 1988. 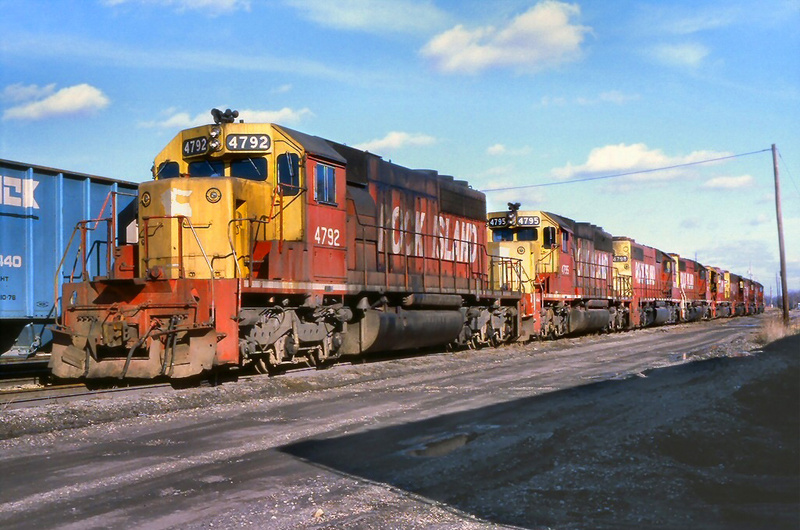 Trzoniec, Stanley W. Vintage & Modern Diesel Locomotives: Prime Movers Of America. Minneapolis: Voyageur Press, 2015. Tyre, Peg (Editorial Director). Amtrak: An American Story. Washington: National Railroad Passenger Corporation, 2011. Wegman, Mark. American Passenger Trains And Locomotives Illustrated. New York: Crestline, 2008. Warden, William E. Norfolk & Western Railway's Magnificent Mallets, The Y Class 2-8-8-2s. TLC Publishing, 1993. Warden, William E. West Virginia Logging Railroads. Lynchburg: TLC Publishing, 1993. Welsh, Joe. Baltimore & Ohio's Capitol Limited And National Limited. St. Paul: MBI Publishing, 2007. Welsh, Joe: Holland, Kevin: and Howes, Bill. Cars Of Pullman, The. Minneapolis: Voyageur Press, 2010. Welsh, Joe. Pennsylvania Railroad's Broadway Limited. St. Paul: MBI Publishing, LLC, 2006. Welsh, Joe and Holland, Kevin. Union Pacific Railroad. Minneapolis: Voyageur Press, 2009. Westwood, John. Illustrated History Of The Railroads. Stamford: Longmeadow Press, 1994. White Jr., John H. American Railroad Freight Car, The: From The Wood-Car Era To The Coming Of Steel. Baltimore: The John Hopkins University Press, 1993. White Jr., John H. American Railroad Passenger Car, The: Part 1. Baltimore: The John Hopkins University Press, 1985 edition. White Jr., John H. American Railroad Passenger Car, The: Part 2. Baltimore: The John Hopkins University Press, 1978 edition. Withers, Bob. Baltimore & Ohio Railroad In West Virginia, The. Charleston: Arcadia Publishing, 2007. Withers, Bob. 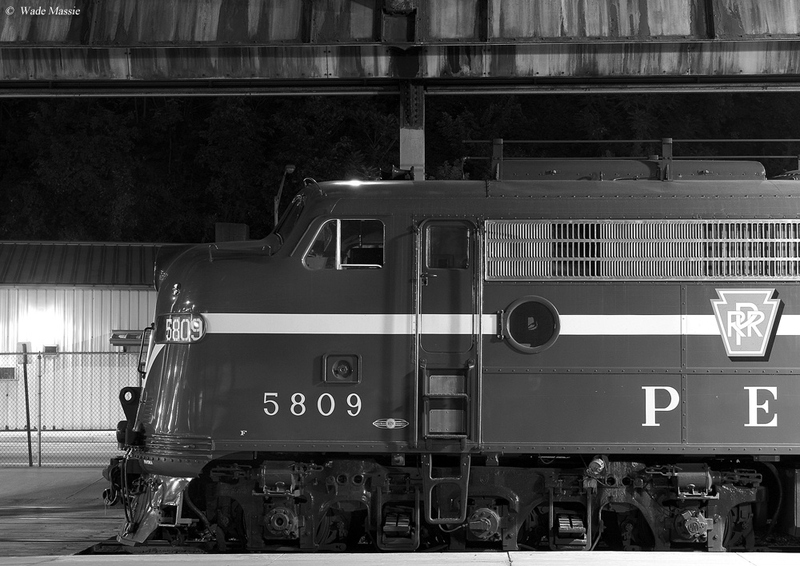 Baltimore & Ohio Pacific Locomotives: Handsome Passenger Workhorses. Forest: TLC Publishing, 2013. Withers, Bob. Trackside around West Virginia, 1963-1968. Scotch Plains: Morning Sun Books, 2006. Wood, Charles R. and Wood, Dorothy M. Milwaukee Road West. Seattle: Superior Publishing Company, 1972. Wood, Charles R. The Northern Pacific, Main Street Of The Northwest: A Pictorial History. Seattle: Superior Publishing Company, 1968. Woodland, Dale W. Reading Diesels, Volume II. Laurys Station: Garrigues House, Publishers, 1995. Woodland, Dale W. Reading In The Conrail Era, The. Telford: Silver Brook Junction Publishing Company, 1998. Yenne, Bill. Santa Fe Chiefs. St. Paul: TLC Publishing Company, 2005. Yenne, Bill. History Of The Southern Pacific, The. New York: Bonanza Books, 1988. Zoellner, Tom. Train. New York: Penguin Group, 2014.